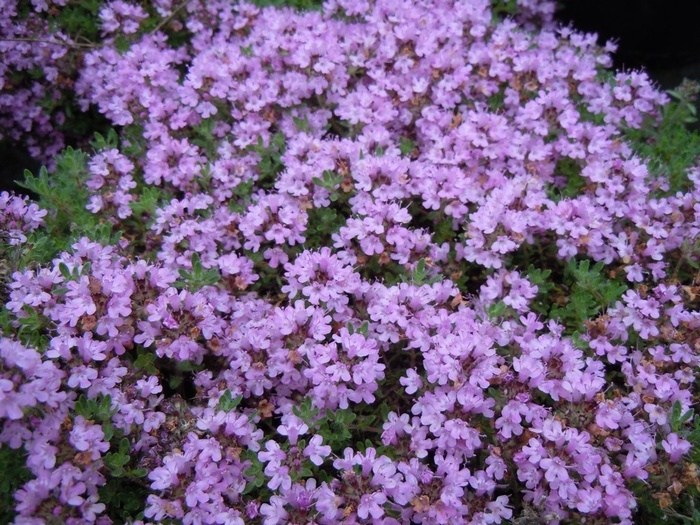 One of the earliest thymes to flower forming ground hugging mats of grey green leaves which are studded with lilac pink flowers in early Summer, ht 2cm. Needs a sunny well-drained position. May be grown in rockeries, pots and containers or in walls. Looks well growing between paving stones or as an edging plant. Loved by bees and butterflies.